[Computer] Game over. User wins. 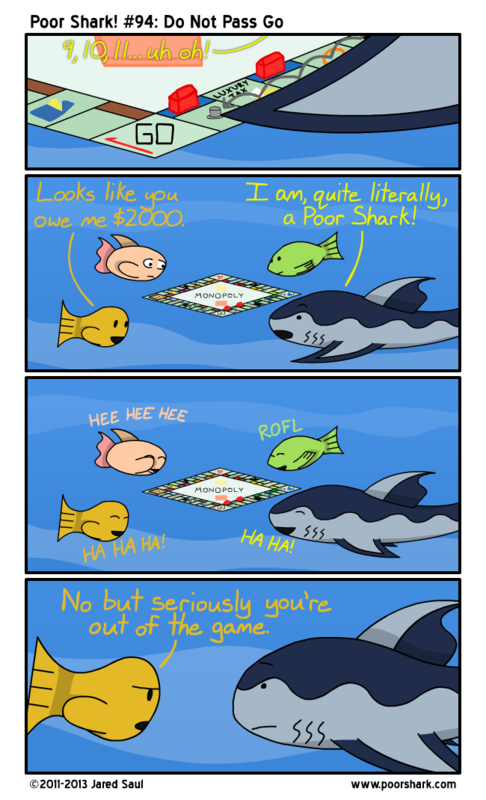 I’ve been playing a lot of Monopoly with my friends on Pogo lately, and that may or may not have inspired today’s comic. TOTALLY nearly won the game with railroads. Ranger did the same thing a little under a week ago.